Generally, you will be asked to sign a contract before your wedding. However, it is accepted that by booking me you will have read, understood and agreed to the terms and conditions started below. It is agreed that the following terms set out the total agreement made between the parties and that no variation or modification of this shall be effective unless agreed by both parties in writing. The Booking Fee (40%) secures the time and services of the Photographer(s) for the wedding and is non-refundable or transferable in the event of cancellation, it being the agreed loss suffered by the photographer due to cancellation. Cancellation less than 4 weeks before the wedding will result in the payment in full. All cancellations must be in writing. Weddings that are postponed to a later date will retain the fee as long as the photographer can re-schedule for the new date and time. Following payment of the Booking Fee, the balance 40 % Amount is due at the time of delivery of photographs. No Photographs, DVDs or Optional Extras will be delivered until all payments due have been paid in full. Payment may be made in cash or bank transfer payable to Mr Viral Shah. Payment for additional Attendance Hours (part or whole) where agreed, but which may not be known accurately at the time of Contract signing, must be made at the post wedding delivery meeting. Client will receive a confirmation mail and a receipt on receiving the Booking amount. This mail confirms the Booking with us. Any verbal communication DOES NOT guarantee a booking if the advance amount is not paid. Pre-wedding photograph session: 10 working days after the service date in low season up to 15 working days after the service date in high season period. Wedding photography: subject to duration of photography services. The more drawn out of photography services implies we will produce more photographs and it will require longer time for post processing. For the most part we may convey the outcome in 20 working days after the service date in low season or maximum 30 working days in high season. All image sizes are nominal. The Photographer will provide a pleasing color balance but cannot guarantee exact color matching owing to anomalous reflectance caused by a combination of certain dyes and materials especially man-made fibber’s. It is sometimes impossible to record on film or digitally the exact color as seen by the human eye. The Photographer/s shall be granted artistic licence in relation to the poses photographed and the locations used. The style and the number of photographs are also dependent on vagaries of the weather and the availability and willingness of the clients and their guests. The photographer/s will make his/their best effort to honour requested photographs but does not undertake any guarantee for any specific picture nor incorporate any specific background, location or group arrangement. Supplied digital files remain the copyright property of the photographer. SHUTTER KNOT allows the client to store/share/copy/print all images for personal/friends/family use only, subject to no commercial or financial gain. The Photographer may display any photographs in his studio, web site, social Media, portfolio, literature, display areas, exhibitions, competitions, advertising or slide shows. We do not and will not sell any images of our client as we respect their privacy and honor our professional bond. SHUTTER KNOT will (as a minimum) perform a standard amount of retouching to take the photographs to a quality which he considers to be appropriate. Images supplied by us will be at the maximum resolution possible, after any cropping as well as a smaller resolution as set by the photographer and supplied on a DVD, USB card or on other electronic media, in JPEG format digital files only. They are licensed to you for sharing or displaying electronically with Family and Friends, and for printing by the Bride and Groom and their respective parents only as well as other family and guests at your wedding only. SHUTTER KNOT cannot accept any responsibility or liability for color balance or quality of any prints reproduced from the CD/DVD/USB card that we supply by Third Party Printers. For attendance at venues at a distance over 70 KM radius, travel costs will be charged where appropriate unless otherwise stated within the covering letter. Where the wedding and ceremony require an overnight or longer stay, Outside Mumbai, then modest hotel and subsistence charges will be made. In the unlikely event of severe medical, natural, or other emergencies, it may be necessary to retain an alternative photographer. SHUTTER KNOT will make every effort to secure a replacement photographer able and/or willing to provide a similar package as chosen in this contract at the same tariff. If such a situation should occur and a suitable replacement is not found, responsibility and liability is limited to the return of all payments received for the event package. 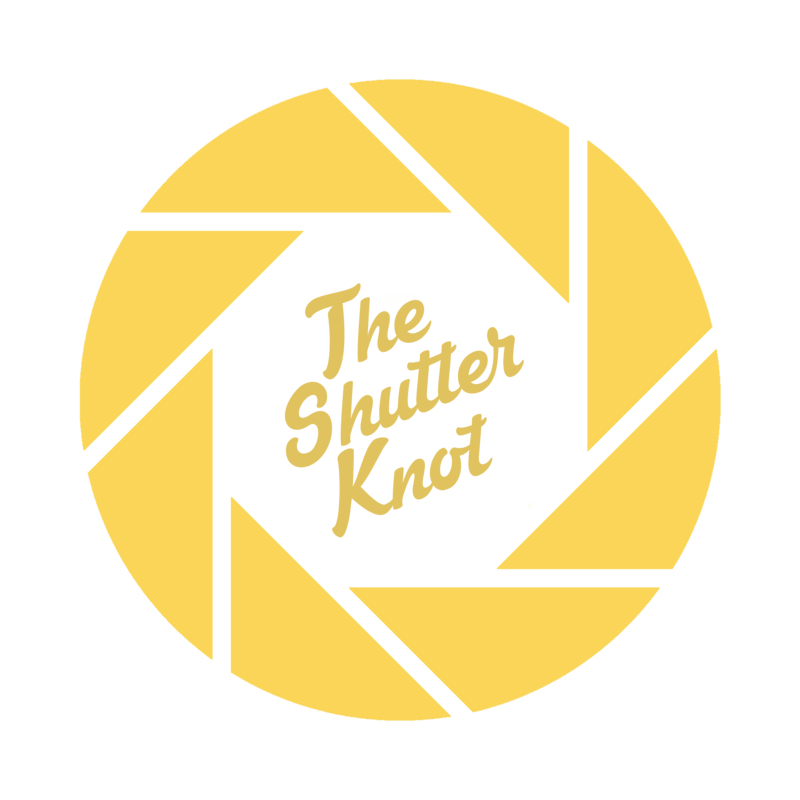 SHUTTER KNOT takes the utmost care with respect to exposure, transportation and processing of photographs; including using professional grade equipment. However, in the unlikely event of THE CLIENT’S photographs being lost, stolen or destroyed for reasons within or beyond SHUTTER KNOT control, the latter’s liability is limited to the return of all payments received for the event package. The limit of liability shall not exceed the contract price stated herein. The limit of liability for a partial loss of originals shall be a prorated amount of the exposures lost based on the percentage of total number of originals. The Client may cancel this contract at any time by giving written notice to The Photographer (s), but in doing so shall forfeit any monies paid. Cancellation less than 4 weeks before the wedding/event will result in the payment in full. The parties agree to positive cooperation and communication for the best possible result within the definition of this assignment. SHUTTER KNOT is not responsible for key individuals’ failure to be present or to cooperate during photography sessions, neither for missed images due to details not revealed to SHUTTER KNOT. SHUTTER KNOT recommends that THE CLIENT designate an “event guide” to point out important individuals to the photographer, whom THE CLIENT wishes to include in informal or candid photographs. THE CLIENT hereby assigns and grants SHUTTER KNOT and its legal representatives the irrevocable and unrestricted right to use and publish photographs of THE CLIENT or in which THE CLIENT may be included, for editorial, trade, advertising or any other purpose and in any manner and medium; to alter the same without restriction; and to copyright the same. THE CLIENT hereby releases SHUTTER KNOT and its legal representatives and assigns from all claims and liability relating to said photographs. It is agreed that SHUTTER KNOT may display and use the photographs taken for advertising, display, website and internet promotion, photographic contests, public display such as in photography books, studio display, television advertising, magazine advertising and any other purpose thought proper by SHUTTER KNOT. SHUTTER KNOT will not tolerate verbally or physically abusive behavior, nor will it share its time or compete with guest photographers for the attention of the subjects. Unchecked guest conduct that interferes with photography may seriously affect the quality of the photographs taken and increase the number of times photos must be re-taken. If THE CLIENT is unable to control the conduct of their guests, resulting in an unacceptable degree of misconduct, or if the conduct of any of their guests damages the equipment of the photographer, it will result in the early or immediate departure of the photographer. THE CLIENT understands that in such an event, no refunds will be granted. We had experience from a little number of customers before that they haven’t reply our emails yet, up to today. Some of them use dedicated email which is only for wedding purpose and I believe they forgot the password. Please be noted that we will delete all your wedding images files 4 months after our service date. A debt of gratitude is in order for your cooperation to reply our email. 5. contacting TSK (including the Webmaster, customer service representatives, or other employees) by email. In connection with these activities, We may collect personal information from You; including, but not limited to, Your name, postal address, e-mail address, username, password, a picture of You, certain preference information (such as favorite URLs), whether or not You are a member of Our Site, purchase photos from the online photo album, telephone number, fax number, company name, title, tax jurisdiction, credit card number, and credit card expiration date. Non-personal information: As a part of the standard operation of Our Site, We may collect certain non-personal information from You including, but not limited to, Your browser type (e.g., Netscape or Internet Explorer), operating system (e.g., Windows or Macintosh), Internet service provider, IP address, and the domain name from which You accessed Our Site (e.g.,abc.org). In addition, We may collect information about Your browsing behavior, such as the date and time You visit Our Site, the areas or pages of the Site that You visit, the amount of time You spend viewing Our Site, the number of times You return to Our Site, and other click-stream data. We analyze the information to examine trends, administer the Site, track user’s movement in the aggregate, and gather broad demographic information for aggregate use. You can however choose to accept or refuse the cookies by changing the settings of Your browser. You can reset Your browser to refuse all cookies or allow Your browser to show You when a cookie is being sent. If You choose not to accept these cookies, Your experience at Our Site and other websites may be diminished and some features may not work as intended. 9. to protect the integrity of Our Site. Non-personal information will be used for these purposes as well to monitor Our Site and provide a greater online experience for the visitors. 6. to share information in order to investigate, prevent, or take action regarding illegal activities, suspected fraud, situations involving potential threats to the physical safety of any person, as otherwise required by law. 1. We limit access of personal information about You only to employees who We believe reasonably need to provide products or services to You or in order to do their jobs. 2. We have physical, electronic, and procedural safeguards that comply with legal regulations to protect personal information about You. 3. To prevent unauthorized access, maintain data accuracy, and ensure correct usage of information, We have put in place appropriate physical, electronic, and managerial procedures to safeguard and secure the information We collect online. TSK agrees and consents to protect the Content submitted by You. TSK further undertakes that the Content will never be used for any other purpose other than what the same has been submitted for on Our Site. TSK does not give access to Your Content to other members. You shall have exclusive control of the Content submitted by You. In the event We go through a business transition, such as a merger, being acquired by another company, or selling a portion of Our assets, users’ personal information will, in most instances, be part of the assets transferred. 1. You can edit Your account, including Your preferences, at any time. 2. New categories of marketing communications might be added to the preferences page from time to time. Users who visit this page can opt out of receiving future marketing communications from these new categories or they can unsubscribe by following instructions contained in the messages they receive. 3. We reserve the right to send You certain communications relating to TSK Service, such as service announcements, administrative messages, that are considered part of Your account, without offering You the opportunity to opt out of receiving them. The photographer reserves the right to amend, vary or cancel these Terms and Conditions at any time. If your Terms and Conditions change then you will be notified with a copy of the new Terms and Conditions. We value all of our customers, past, present and future. We will always do our best to ensure that you are completely satisfied both with our service, and our products. Backup Equipment is Chargeable and hence kindly ensure you do not compromise and risk your event for a few extra pounds. Both parties will automatically agree to the mentioned terms on Booking. If you have any questions or would like to discuss our wedding photography terms and conditions, then please do contact us.